St. John’s Women of the ELCA invite the entire congregation to participate with us on Thankoffering Sunday, November 11, 2018. We will have Thankoffering envelopes available for anyone who would like to participate with a financial offering. The Globe Offering will also be given to the Women of the ELCA Thankoffering projects. The Thankofferings support many women’s, men’s, and children’s programs, along with scholarships for women wanting to further their education. A special offering of food for Semcac is given along with quilts that are provided to an organization in need of them. Our women invite everyone yes even children to participate by bringing a bag of food to be brought forward for a blessing during this service. 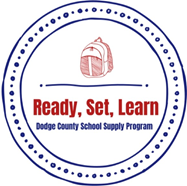 St. John’s is a collection site for the Dodge County “Ready, Set, Learn” program to provide school supplies for children in need. 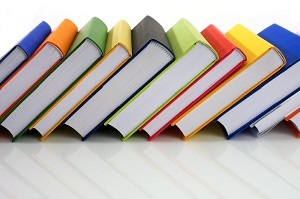 Donations accepted in the Narthex beginning June 3.
composition books (wide or college ruled). Anyone wishing to apply for supplies can download one here (Word or PDF) or pick one up in the office. Questions: contact Tanya Young at (316) 390-5368 or tyoung8550@yahoo.com. If you’re ready to think about summer, then it’s time to think about Vacation Bible School! 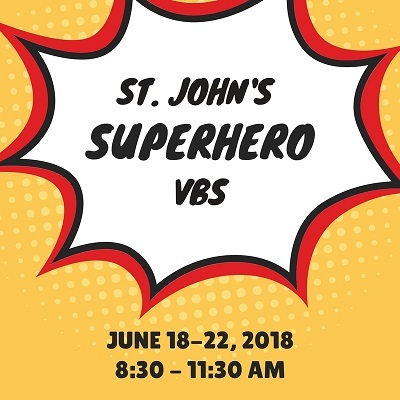 Any child ages 3-years-old through 4th grade is invited to join us for St. John’s FREE Superhero VBS. We’re also looking for donations of simple household items for arts and crafts, people (5th grade through adult) to help at VBS, and people to help us decorate. We are offering early drop-off (7:00-8:15 am), late pick-up (11:45 am-12:30 pm, and transportation to Just Like Home or Project Kids in Kasson. For questions, contact Deacon Amanda at amanda@stjohnskasson.org or (507)634-7110 ext. 14. Register your child here. Please register by May 18 to be guaranteed a t-shirt. We are collecting plastic milk caps, empty paper towel rolls, washi tape, and cardboard cereal boxes for arts and crafts. Bring your donations to St. John’s. Get involved with Vacation Bible School! We need a lot of people to make VBS a success! Here are just a couple ways to get involved. You can sign-up to volunteer on the bulletin board or by talking with Deacon Amanda. You have the important job of teaching the Bible point to each group of children as they rotate thru the stations. 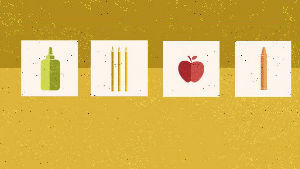 Each station shares the lesson in a different, unique way: experiencing a Bible story, doing a craft, playing games, eating a snack, or hearing about real kids who live out the Bible point in real life. The joy of this position is that you get to share God with the kids in your own specialized way each day. If you love kids, you can do this job! This is the perfect opportunity to really get to know the kids. You will have about 5 students the stations during the course of the morning where you’ll learn important Bible points and have a lot of fun! And you won’t be alone, you’ll travel to your stations with 1-2 other crews. You bring the excitement and energy to our VBS that helps the kids get excited about learning the Bible truth for that day. You’ll be placed in each crew to help the crew leaders guide their children from station to station. You’ll get to play with the kids and help them do the activities planned each day. You get to bring the noise! You get to help us celebrate the Bible point through music. Music is provided. To make our church a fun and inviting space for VBS, many hands and thoughtful ideas will be needed to decorate. We are looking for some workers (creativity is optional) to help put together home kits, decorate doors, rooms, hallways, a lobby, and a platform in some fun themes. Come for the entire time or any amount of time you can contribute. Help us plan for lunch by signing up on the bulletin board at St. John’s or talk to Angie Moore or Amanda Sabelko. June is handbell conference time. It is being held in Rochester so mark your calendars for the June 24th concert with up to 450 handbell ringers playing together in the Rochester Civic Center. We would like your support. Please donate an item for a silent auction/raffle to be held in early May. Please contact Ann Brenke (507-951-8750). The Education Commission is in the process of updating the St. John’s Library and needs your help! Donate. They have a wish list available of new resources they wish to make available. Items can be donated directly OR donate funds to help purchase. Volunteer. If you are passionate about books and interested in helping, your contribution would be welcomed. Questions? Want to donate? Want to volunteer? Contact Amanda Sabelko (amanda@stjohnskasson.org or (507) 634-7110). The future library materials will all contain religious content. The Kasson Community has numerous resources available for non-religious content. 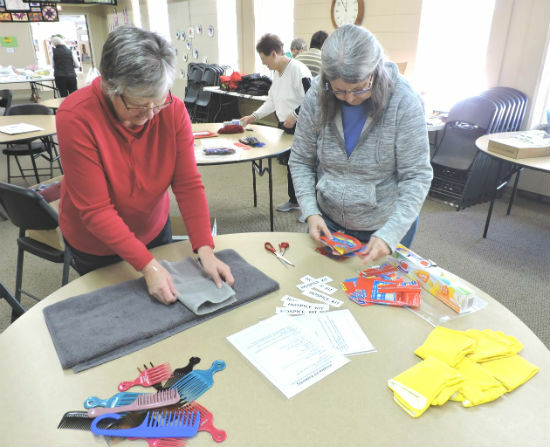 The Women of the ELCA of our congregation will host a “Doing Day” on Wednesday, March 21. You are invited to come any time after 8:00 am (usually wrapping up by about 2:00 pm) to help pack kits to help benefit people around the world and in the United States and/or help prepare quilts. We will take time out for morning coffee and devotions and a potluck lunch. Find a list of required items below, in the Snippets at the Welcome Center, or on the WELCA bulletin board. Questions? Contact Gail Jensen at (507) 633-2467 or (507) 951-3367. 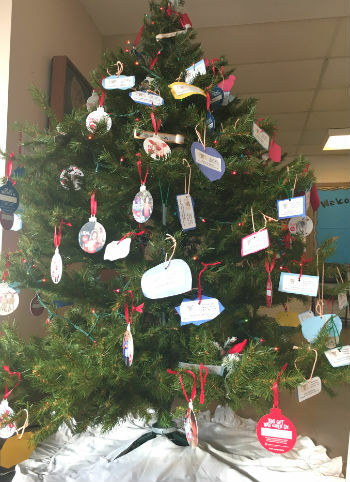 Take an ornament on the Giving Tree to purchase a life-changing item from ELCA Good Gifts (more info in the catalogs around the building or at www.ELCA.org/goodgifts) or for movie tickets for Food For Friends. Take a tag, purchase the movie card, and return both to the church office. Checks for ELCA Good Gifts should be made out to St. John’s OR purchase online. Please specifically label your Lutefisk Dinner Bake Sale items (i.e. nuts, flavorings, etc.). Please consider donating to our bake sale. All proceeds from the bake sale table are used throughout the year to fund a variety of our congregation’s projects. Lutefisk donation letters have been mailed to each St. John’s household. If you didn’t receive a letter with your family’s donation request, or if you are not a member but would like to contribute, please contact the office. YOUR DONATIONS are important to the success of our dinner! 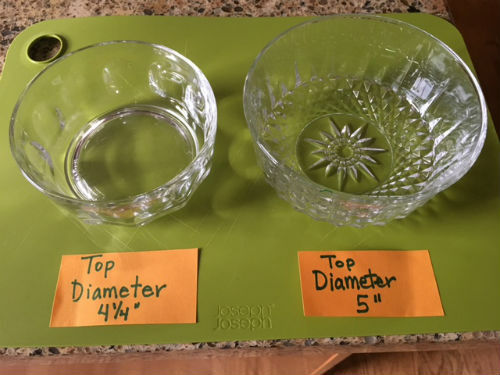 If you like to attend garage/estate sales or perhaps have these in your home, please be on the lookout for two small sized glass bowls that are no longer available to purchase new (see picture below for specific style and measurement). If you would consider donating these, we could use more of these in our church kitchen! If you have any empty ice cream pails with lids that you could donate, please bring to the church office before October 20, 2017 to be used the week of the lutefisk dinner. 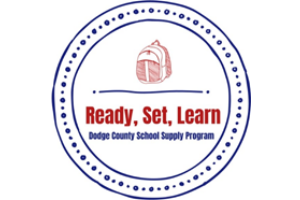 Ready Set Learn Back to School is a program that is offering backpacks and school supplies to qualified recipients. It started in 2007, and has grown ever since. In the 2016 school year we were able to serve approximately 345 kids, helping prepare them with school supplies for the upcoming year. We now have a committee of 10 dedicated individuals from the community that our passionate about making this continue to strive. We run on donations from the community, businesses, organizations, and individuals. We wouldn’t be able to make it without these generous donations. 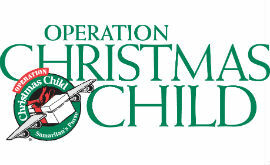 We are accepting donations now through August 6 both at St. John’s and at the Kasson ShopKo. 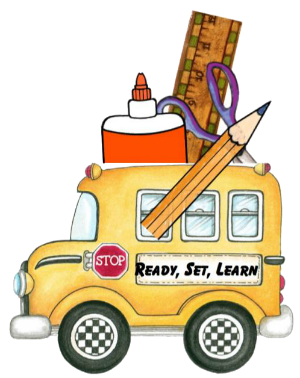 We are also having a “Stuff The Bus” Event July 19 from 4-9 pm at the Dodge County Fair to fill St. John’s Big Blue Bus with supplies!